20+ Santa Jokes | Prepare to be amused this Yuletide season! Christmas is fast approaching and we can’t think of a better way to celebrate the incoming holiday than a good list of Santa jokes. Santa Claus is a very famous figure that gives good-behaving children presents during Christmas. He is known for his red hat, spectacles, white beard, big belly, and his reindeers. Even though he is known for his hard work, he is also known for his sense of humor. If you like Santa Claus or any Santa Claus-related jokes for that matter, you will surely be delighted by our jolly collection that we have prepared for you. Prepare to be amused this Yuletide season! Santa gave my son a fridge for Christmas. – I can’t wait to see his face light up when he opens it. 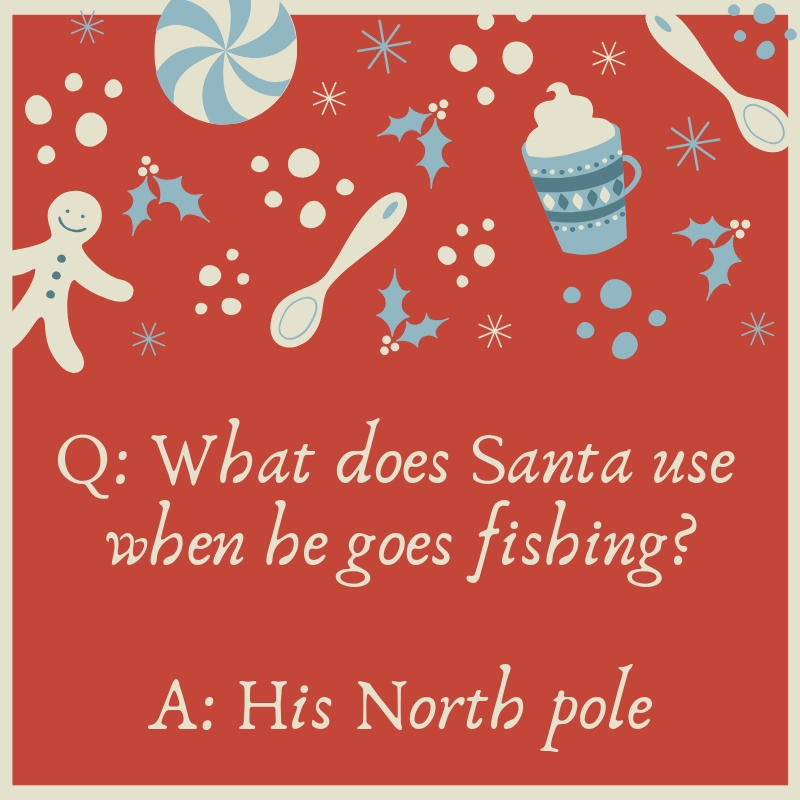 Q: What does Santa use when he goes fishing? Chance: Why did Rudolph get a bad report card? Chance: Because he went down in history. Q: What does Santa put on his toast? Q: Why does Santa always go down the chimney? Santa Claus, Kris Kringle, Saint Nicholas, St. Nick, Pelznickel – he is a prominent figure that we tell children every Christmas so that they would behave properly. 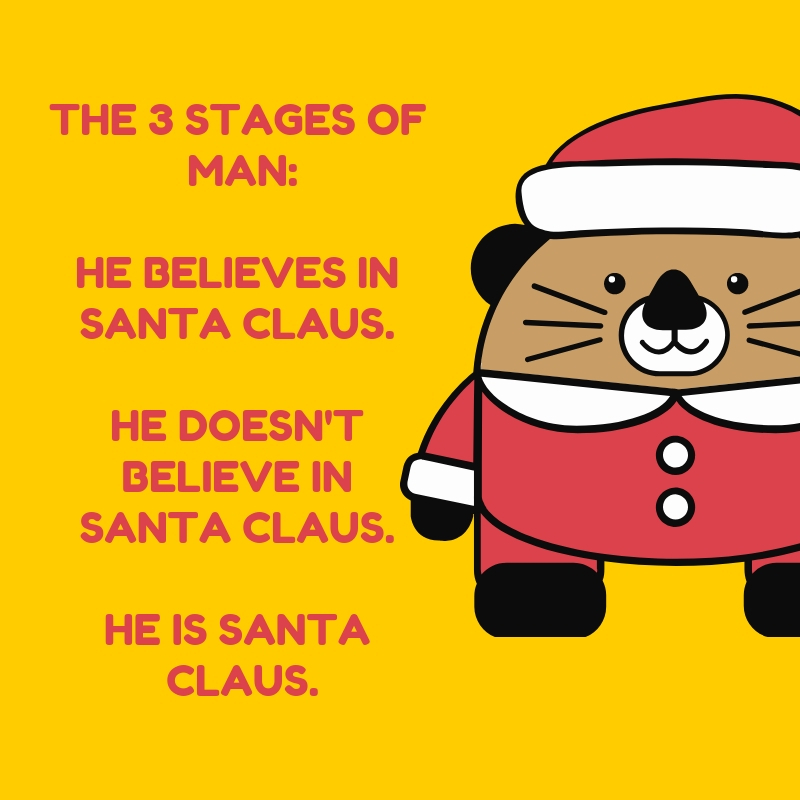 No matter what you call him, you will surely have a nice giggle once you have read these 21 Santa jokes that we have prepared for you!